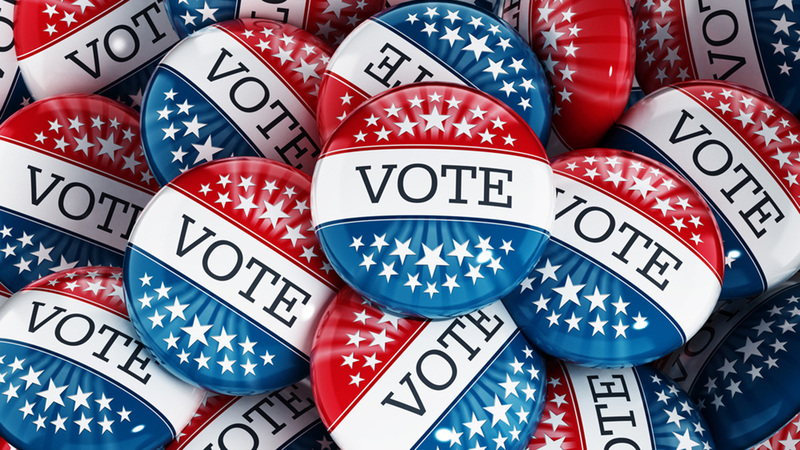 Which presidential race candidate rules Facebook in Texas? HOUSTON (KTRK) -- It's not a crystal ball, but statistics compiled by Facebook are revealing where Texas voters' political interests lie. 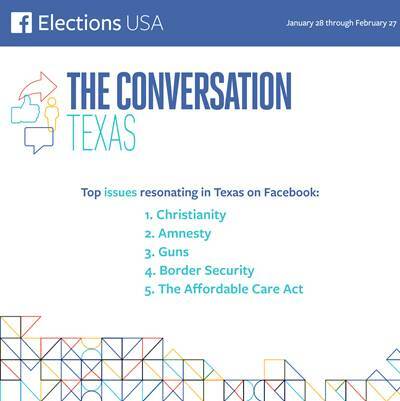 The top five issues being discussed by Texans on Facebook between January 28, 2016 and February 27, 2016 as well as the numbers of Texans discussing individual candidates and total interactions (likes, posts, comments, and shares) about those candidates. The data provided reveals that in Texas Donald Trump, Hillary Clinton, Bernie Sanders, and Ted Cruz all had at least one million people talking about them on Facebook. Donald Trump led the pack with more than two and a half million people who interacted nearly seventeen million times. The level of interest in The Lone Star State mirrors the national numbers with Trump, Clinton, Sanders, and Cruz taking the top four spots. We also know the issues most frequently discussed during that same time frame. In Texas, they were Christianity, amnesty (as it relates to immigration), guns, border security, and the affordable care act (Obamacare). Over the same period of time, the top topics nationally (in order) were Christianity, the economy and jobs, racism and discrimination, immigration, and taxes. Again, Facebook does not consider the statistics predictive, nor does it intend them to be. It is merely a snapshot of the candidates and the issues most driving social conversation during an incredible political cycle.